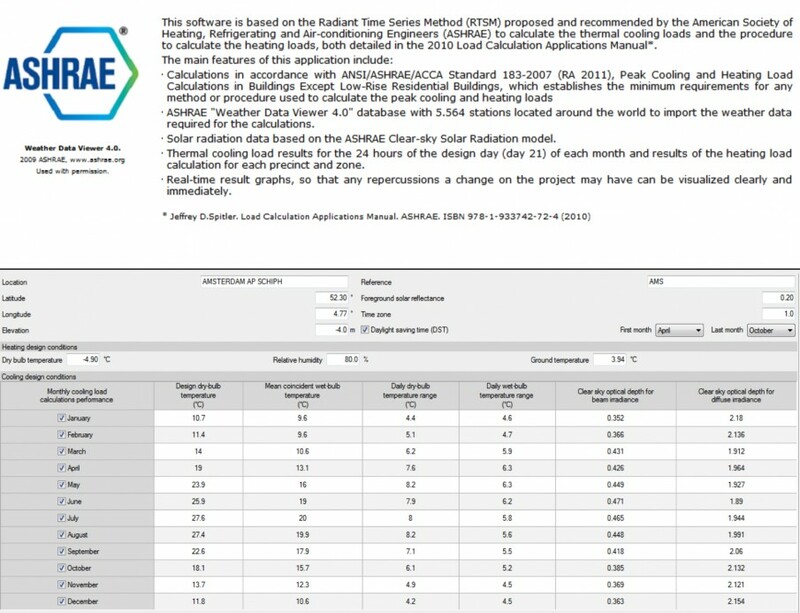 This project contains a detailed analysis of heat flow in an interior space maintaining a permanent (indoor) air temperature of 21ºC . 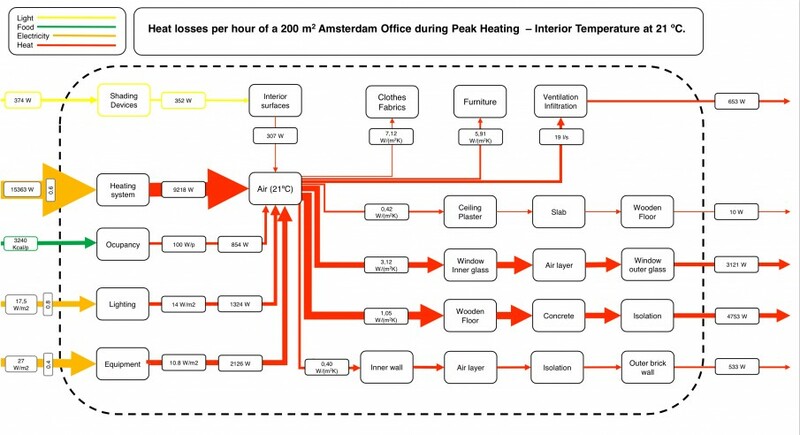 With detailed quantitative data, a series of estimates can be inferred to conclude how much heat is possible to save by using (continually) a multifunctional space instead of using two separate spaces, one during office hours and the other during after-working hours. 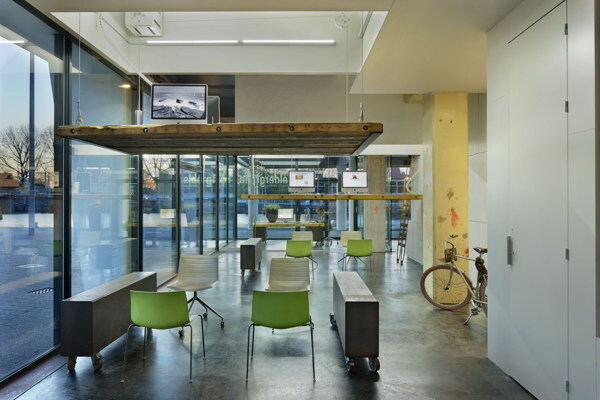 Designed by Bright Green and built by Zecc Architects, the workspace clears out after 6pm to make room for recreational activities so that employees can maintain a healthy work-life balance. Steel cables attached to wooden desks lift them up into appropriately built ceiling cavities, leaving the floor empty so that employees can practise yoga, participate in dance classes and enjoy parties. 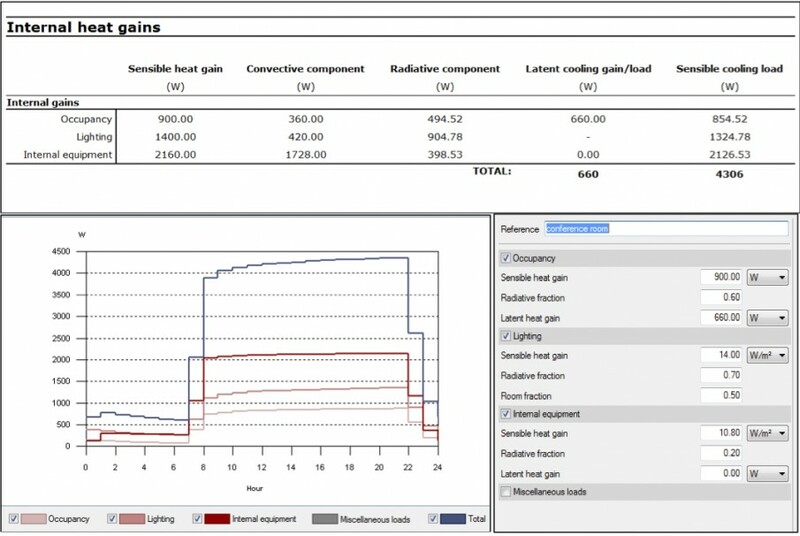 In order to quantify the heat inputs and outputs of the interior space in a realistic and accurate way a software was used. In terms of assumptions, those where made regarding some construction parameters (material, thickness, density, etc) but always inside expectable situation in current construction standards. For the rest, after introducing information regarding latitude and longitude, floor/ceiling/opaque/fenestration area, as well as orientation and existence of elements like overhangs, etc the heat gain and losses where calculated using the ASHRAE standards. 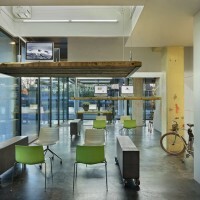 ARCHITECT: Zecc Architecten BV, Utrecht, The Netherlands, www.zecc.nl. CLIENT: Heldergroen Inspiratie Creatie. LOCATION: Haarlem, The Netherlands. PROJECT TEAM: Bart Kellerhuis, Marnix van der Meer, Steven Nobel, Ron Valkenet, Sander Veenendaal, Jeroen van Zwetselaar & Teun Vrolijk. DATE: 2009. 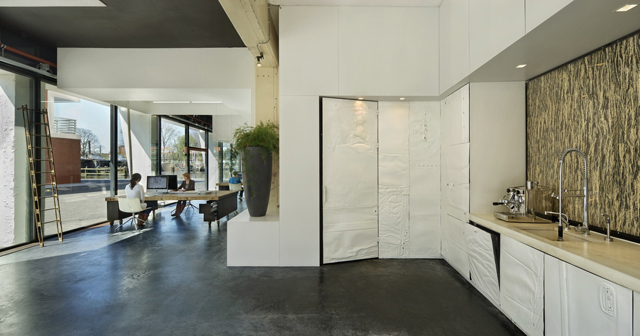 The office Heldergroen offers a multifunctional usage of space, providing a healthier work environment. Although not the main focus, this feature also ends up saving energy when compared to traveling to another space just for after working schedule use. Although this analysis started with the curiosity to know if and how much heat would a multifunctional space save compared to a the usage of two different spaces for the same activities. In the end, conclusions and opportunities to understand different phenomena present in indoor heating are much more than expected. As quantitative results one can look at the image that shows and compares Heat Gains in all three different schedules. The maximum different (1000W) is from 18 to 19h but if we sum all differential (excluding 17 to 18h that deals with travel time) we have 3200W throughout 13 hours, 246 W/h. 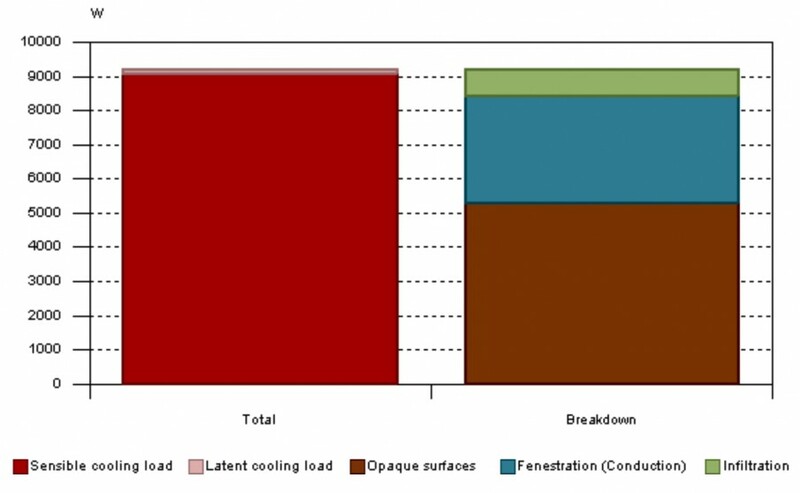 One can very conservatively consider as months that benefit from Heat Gains (colder months) September throughout April (as you can see in the image that shows annual heat and cooling load progression), In those 8 months, approximately 176 working days, there is the opportunity to save 563.2 KW/Year in Heating. Not only that but if you consider the energy spent when traveling to other space (car/train/metro,etc) the savings are even higher. 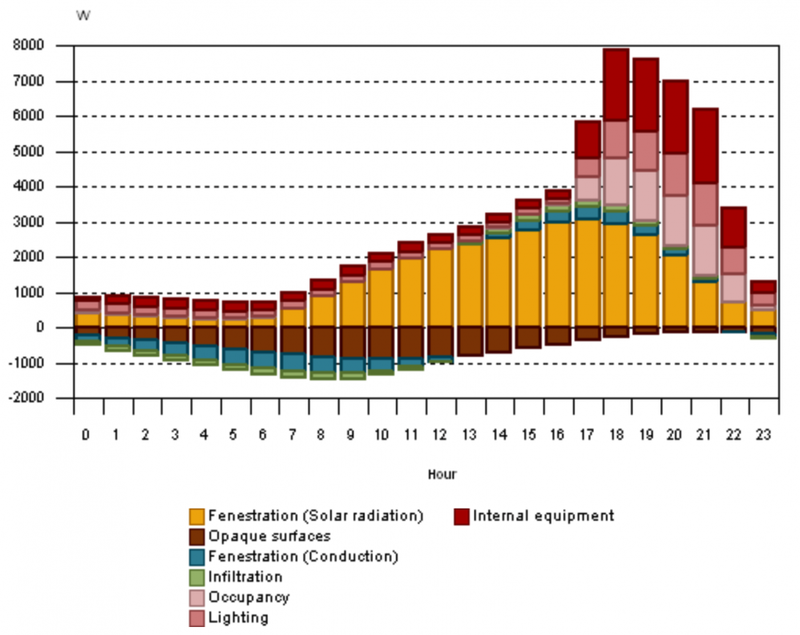 Finally by looking at graphic extrapolated from this analysis (like the one concerning the annual heating and cooling load progression) one can start thinking about ways to adapt the design in a way that it would adapt these fluctuation as an advantage. 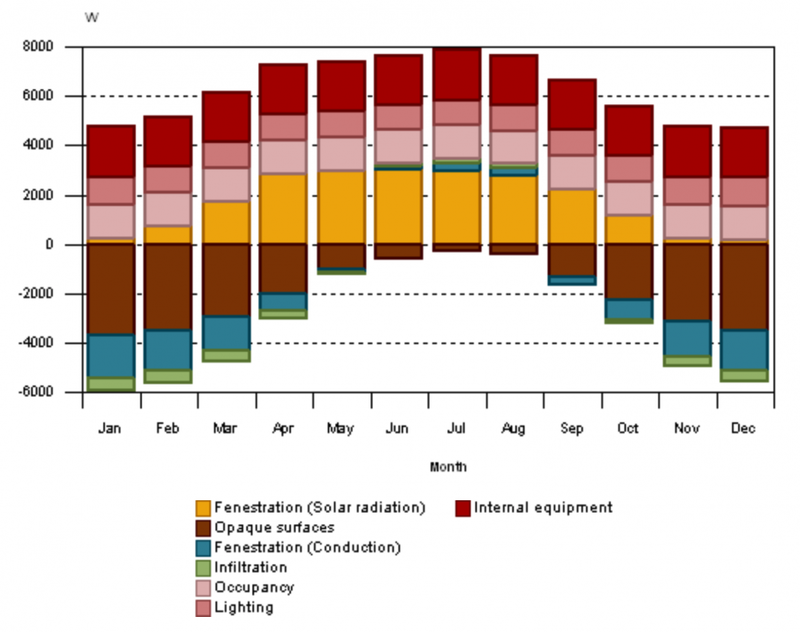 As a old but stereotypical exemple one can mention the overhangs (also taken into account in the calculation process) that deal with the fact that in the Peak of Cooling Period (summer) the sun is not a positive factor so the energy gain from it should be minimised as much as possible. The major problem for this analysis was to find a way to obtain relevant and substantial accurate quantitative data. This was solved by using appropriate software. The fact that software nowadays can contain huge libraries of coeficientes and thermal transmittance of different materials, coupled with the fact that it can keep values updated (like temperature and sun exposure) makes the process of getting accurate data much more reliable. 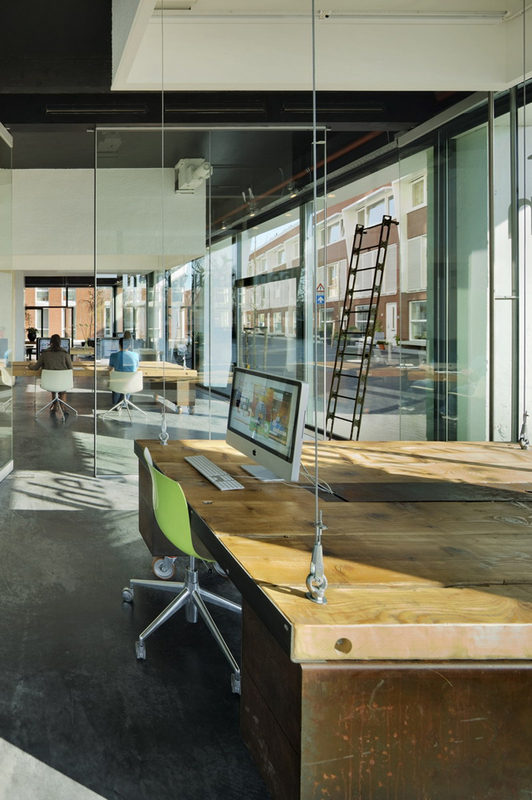 A very real factor that contributes to the success of this idea of using the same space for after-working activities is the fact that the workspace has to change into a non-working type of environment. For the employees, more than being eco-friendlier or a heat saving mechanism, the idea of providing a healthier work environment where there is physically no way of continuing working after 6 o'clock is particularly appealing. 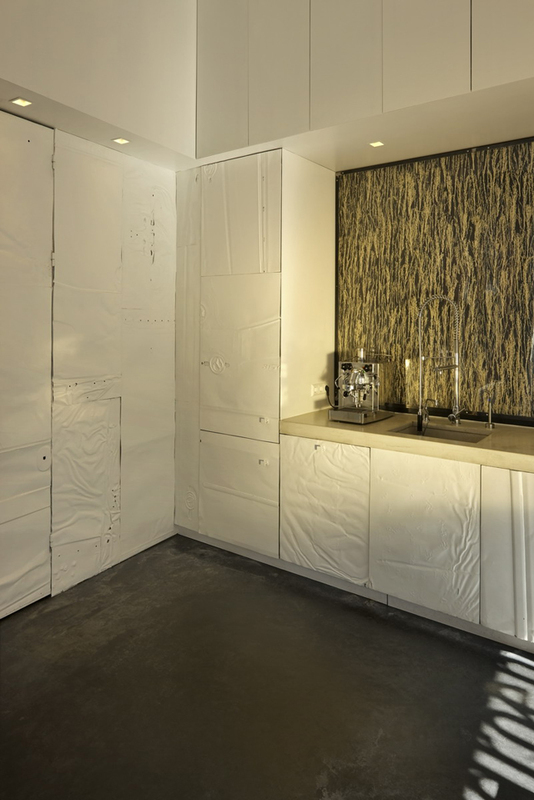 Traditionally multifunctional spaces need a larger initial investment either in design/construction fase but also regarding materials and equipment needed to a "fluid" multi-functionality. The fact that spaces that sustain different activities can benefit from the internal heat gains (during winter season) should make multifunctional awareness a stronger reality. 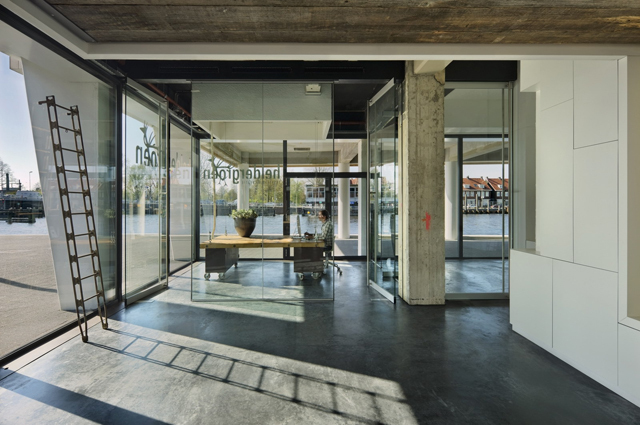 The fact that Heldergroen office has tables that go up vacating the space should serve, in my opinion, as an inspiration and a starting point to a the idea of a greater adaptability from the office spaces that traditionally are very much strickly and restrictively tailored to a specific type of activity. 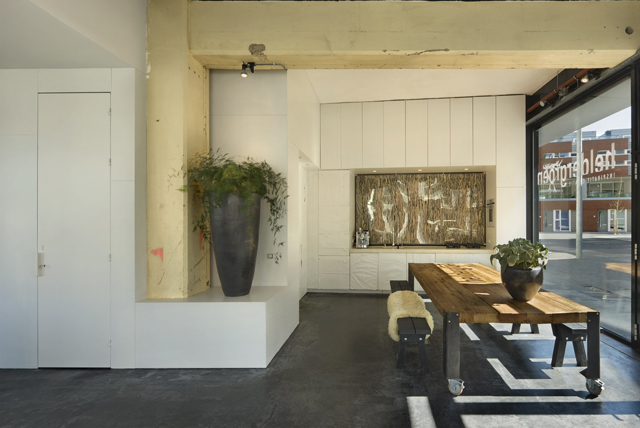 If you think about design as an informed statement towards reality, this is undoubtedly something that brings more awareness to the fact that multifunctional spaces have a clear energetic benefit. More than aesthetic trends and/or legal requirements. I believe the designer should try to understand all the aspects involved in a design and its daily life usage to the fullest. The use of specialised software. 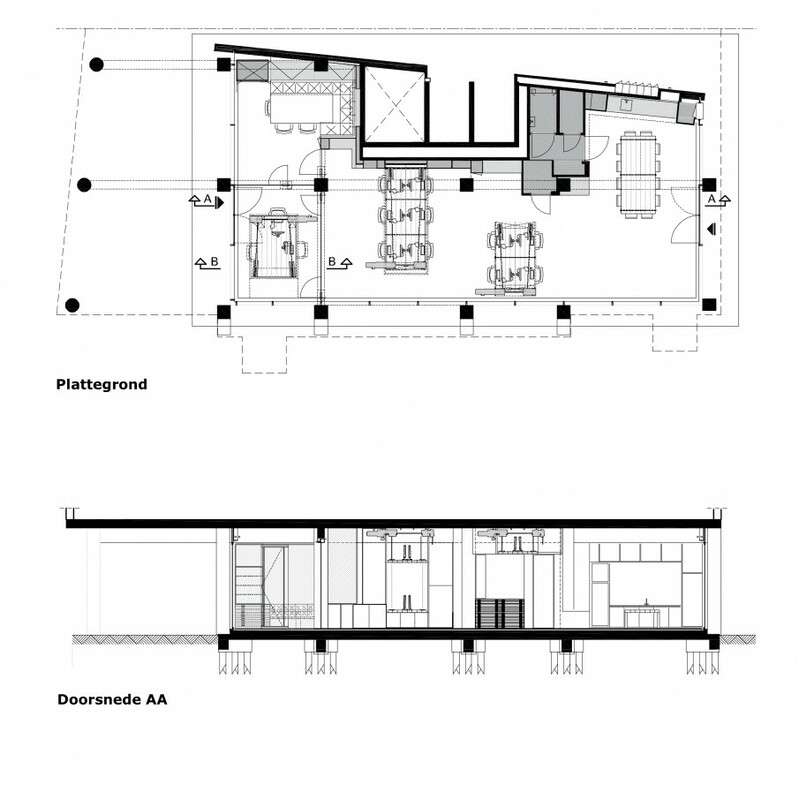 Studio Heldergroen has a multifunctional use of space so that extra work activities are possible saving a lot of heat and energy/time/etc.